USC Ellison Institute welcomes Olympus to HSC. 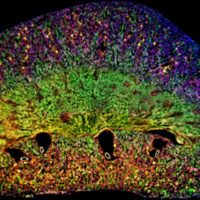 Join us for this luncheon seminar, learn about advancing your multi-scale bioimaging research with a world-leading confocal microscopy system and FLUOVIEW tecchnology. Talk includes brief live-cell imaging demo. Grad students, post docs, emerging and senior investigators all welcome.